We crafters love our notions! They are the tiny tools of our trade and make our projects infinitely better. And because we use them constantly, we like them to look cool. On the flipside, we only use the notions that actually work well, no matter how pretty they are. We designed our stitch marker packets to reflect what we actually need: an end-of-round marker and plenty of markers for all those special stitches we need to remember. And, of course, we wanted them to be in our favorite color: teal. We added a dash of gold for good measure. 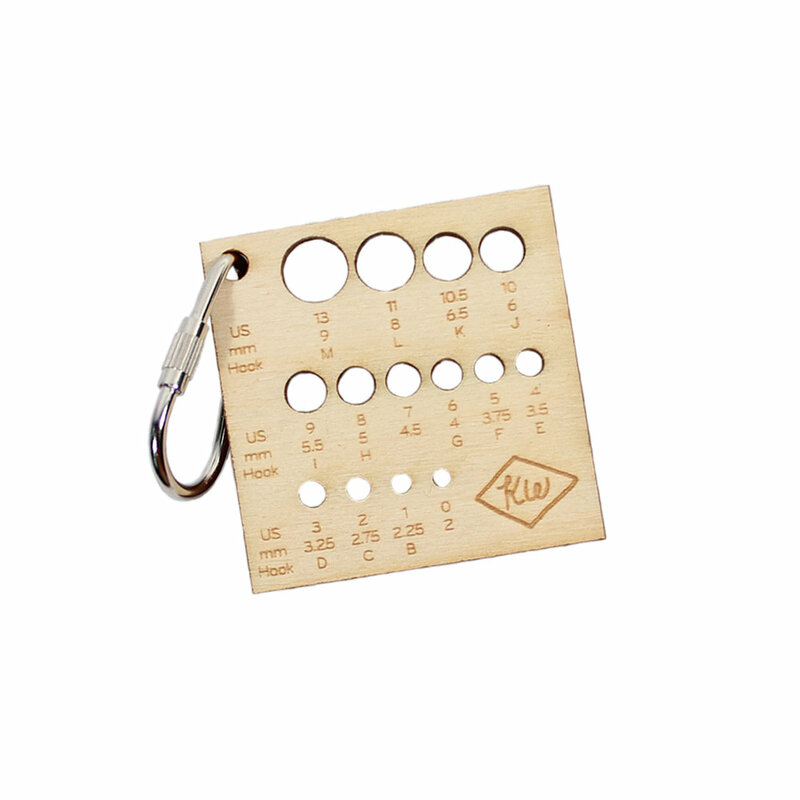 Our Keychain Needle Gauge is a tool that I constantly reach for as I don't have a sorted circular needle carrier. This tool, along with the large Knit Check and the Ruler, were designed in-house by Leah McGlone. After compiling the notions that we use the most often, we decided they should be packed together as a pack. 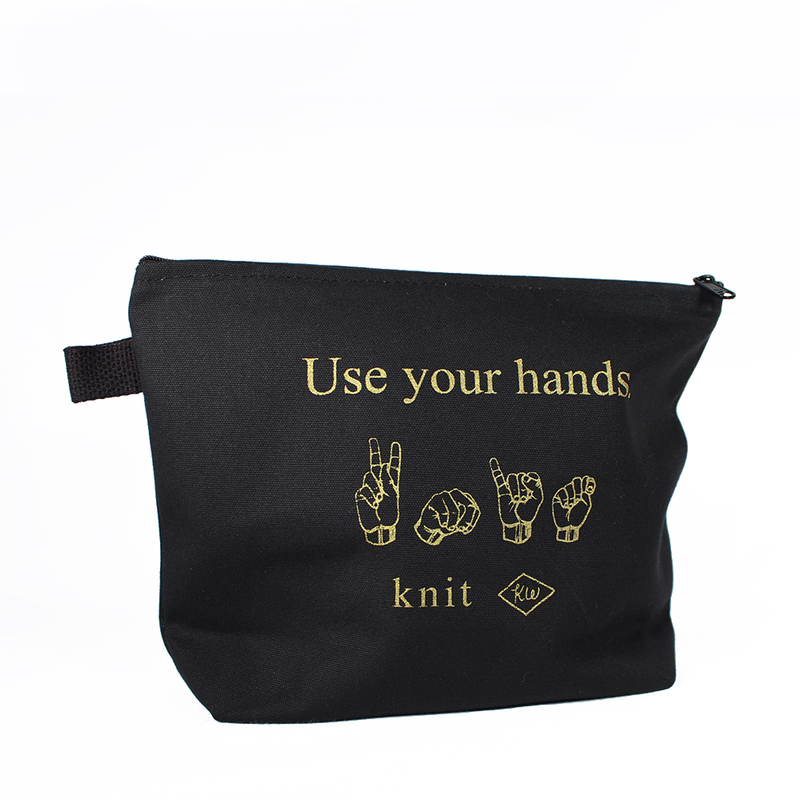 The Crafter's Supply Pack is an easy grab-and-go kit that fits in your bag and contains the essentials. The notions that go into our Crafter's Supply Packs are pretty obvious. What may not be so obvious is the work that goes into both producing and assembling all of our custom branded notions. As most of you are well-aware, we are a small company with less than 5 full-time employees. And when a company is that small, teamwork is everything. As I mentioned before, Leah designed all of the laser cut wood pieces based on her experience as a seasoned knitter and recent graduate of design school. For all the notions, we had meetings and went over the prototypes, correcting small errors and finding ways to improve the notion's functionality. Kate applied her design sense to the packaging and branding. Once all of the items are in-house, some assembly is still required: we count and stuff all of the stitch markers and darning needles and we hand stamp the Crafter's Supply bags per order. We even attach the small metal carabiners to the keychain gauges by hand. Unsurprisingly, this is pleasant work. It's been a creative outlet to think about ways in which we use our tools and how we can improve that experience. The activity of stuffing tiny envelopes and stamping small muslin bags is kind of zen-like and gives us a chance to step away from the computer screen and work with our hands. It's also another way to remind ourselves of our love of craft and the community of crafters. Who knows, maybe I have stuffed the envelope full of stitch markers and maybe Courtney stamped the Crafter's Supply Pack that is in your knitting bag right now? Meghan here, with a new feature we're trying out, Life of a Knitting Office. Through these posts, I'll be sharing with you some of the daily aspects of running Kelbourne Woolens and give you a little insight into exactly what goes on here day-to-day. Enjoy! As you are well aware, we are a wholesale distributor of yarn. And while we'd almost always prefer to be sitting in our offices knitting, that actually never happens - all sample knitting occurs at home, "after hours." Most days are a mix of packing orders, answering emails, invoicing, editing patterns, answering more emails, photographing new products or tutorials, designing ads, and stocking yarn. Today is a slightly different day, as we finally received Road to China Light from the mill! Yay Baby Camels! So now, the task is to unpack it and put it away. The next step is to call everyone who has a backorder, or an order to ship this month, and invoice, pack, and send it to shops who have been patiently waiting. This is usually a team effort and it's always an exciting, albeit exhausting, day. As the accounts manager, I do most of the packing. I really like this part of my job as it gives me a real-time view of our inventory and a personal connection to our shops. Its quite easy to tell what lines and colors are most popular, as we receive them in orders often and the names come up time and time again, but this very hands-on approach also allows me to identify the "slow-and-steady" yarns - those whose popularity isn't so apparent but are never-the-less being re-ordered and shipped out at a regular clip. It's always a hugely satisfying feeling to fill our shelves up with yarn again so that we can readily grab it when it's ordered. One of the many ways yarn can make us happy! If you are a shop who is awaiting Road To China Light, hold tight! I'll probably be calling you very soon! 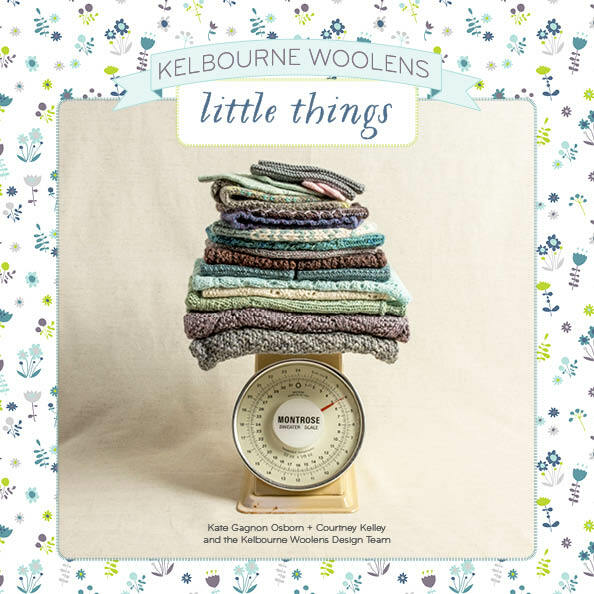 If you are making something with RTCL, show us by tagging it with #kelbournewoolens and #madewiththefibreco!